Plus Rental, a leading vehicle rental company in Bahrain, has purchased a fleet of 25 Toyota Hiace vans from Ebrahim K. Kanoo; to be used by Aramex, the international shipping experts. 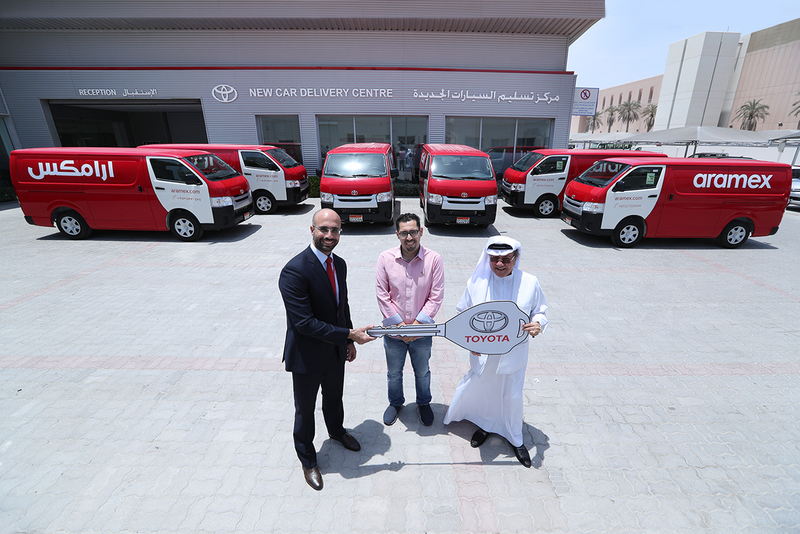 Aramex Station Manager; Omar Kamar and Plus Rental Managing Director; Mr. Mahmood AlKhadhem received the fleet from Ebrahim K. Kanoo Executive General Manager of Sales, Mr. Ismail Akbar, at the New Car Delivery Center at the Toyota Showroom in Sitra. The Hiace has proven to be the business vehicle of choice especially for courier companies due to its enhanced wide and long body, making it the smartest option for loading and off-loading bulk cargo and odd-shaped shipments. Toyota’s renowned safety and reliability also make the Hiace the ideal choice for businesses.